Braxton Hicks is a common pregnancy question we get via our free doctor chat. Women all over North America have asked us about these “ghost” contractions, and we want to ensure our members get authoritative medical advice. To help you understand more about pregnancy and Braxton Hicks contractions, I sat down with Your Doctors Online Chief Medical Advisor, Dr. Richard Honaker. Dr. Honaker has decades of experience in multiple areas of medicine and I was very excited to discuss this common women’s health issue with him. Dr. Cheema: Dr. Honaker, it is a pleasure to have you here, how are you? Dr. Honaker: Excellent, thank you. Dr. Cheema: Let’s get right into it. Can you tell us a little about what Braxton Hicks is, and is it common during pregnancy? Dr. Honaker: Braxton Hicks contractions, often called “false labor pains,” are sporadic contractions of the uterus during pregnancy. They feel like menstrual cramps or mild labor pains. These are common, but pregnant women may experience different degrees of pain. Dr. Cheema: Should patients be worried that they are going into labor if they are experiencing Braxton Hicks contractions? Dr. Honaker: The uterus is a very strong muscle that contracts when irritated or when it is enlarging during pregnancy, but these contractions are not a sign of labor, rather just preparations going on in the uterus muscle for the birth process later on. Dr. Cheema: At what point during pregnancy does Braxton Hicks commonly occur? Dr. Honaker: They do not occur in the first three months but can occasionally appear in the second trimester. 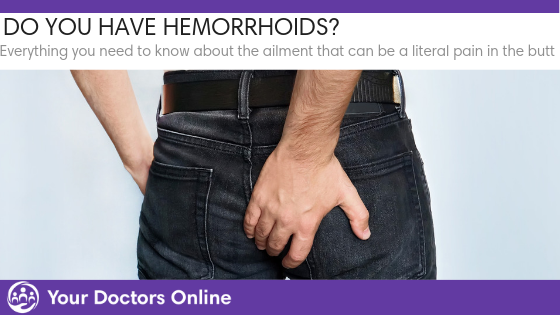 However, they are most common in the six to nine month period. Remember, they usually last for 30-60 seconds but occasionally can persist for up to two minutes. They are a normal part of the pregnancy process. Dr. Cheema: What are some of the common signs and symptoms of Braxton Hicks contractions, and are they dangerous to the mom-to-be and baby?? Dr. Honaker: They are mildly painful, irregular, and infrequent, unlike labor pains which get progressively worse at regular intervals. As noted earlier, they last for just a few minutes or less. They are not related to true labor. They will not harm you or the baby, and they are not dangerous. 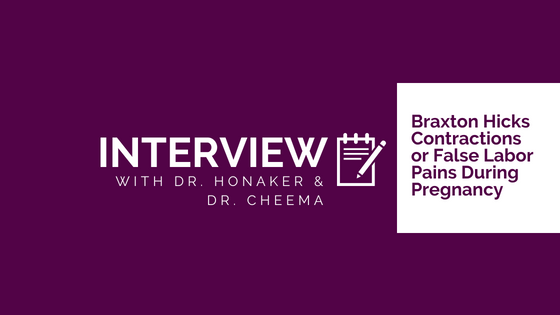 Dr. Cheema: What are the possible causes and treatment options to alleviate the pain of these types of contractions? Dr. Honaker: Dehydration can be causative factor, so stay well hydrated. Breathing exercises should help, like rhythmic breathing is a good idea. Also lying on your left side helps, because it takes the uterus’ pressure off the large vein in the abdomen, the vena cava, which runs up the right side of your spine in your abdomen. Emptying your bladder may help too, because a distended bladder puts pressure on the uterus, thus stimulating it to contract a little. 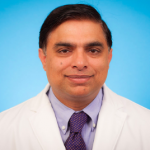 Dr. Cheema: How can pregnant women tell if it is real labor or simply Braxton Hicks? Dr. Honaker: One way to distinguish this from true labor pains is to do gentle exercise when it is happening. Braxton Hicks contractions are less noticeable during exercise and labor pains are still noticeable. Also, true labor pains get closer and closer together and last longer as they continue. That does not happen with Braxton Hicks contractions. Dr. Cheema: Any serious issues to be on the lookout for? Dr. Honaker: Braxton Hicks should not cause any bleeding, so if that happens call your physician, or seek emergency medical help. Dr. Cheema: Thank you for joining me today Dr. Honaker, and thank you for your insight on this common medical question. Dr. Honaker: It was my pleasure. I hope it’s helpful to our members and all pregnant women who may think they may be experiencing these types of contractions. 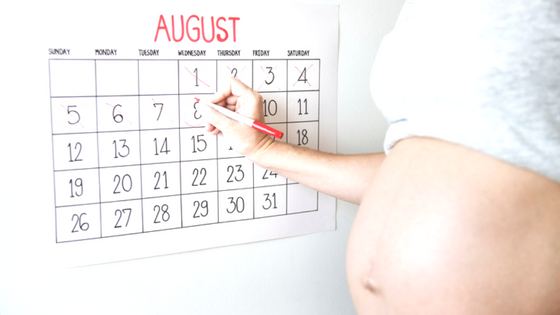 Do You Have More Questions About Braxton Hicks Contractions? You can get peace of mind 24/7 using our free doctor chat service online. Ask your most pressing medical questions and connect with Dr. Cheema’s panel of Your Doctors Online physicians. Join us now and start chatting in minutes.